Marylanders are being sold a bill of goods under the guise of fiscal accountability. That’s why on Election Day voters ought to think twice before approving a constitutional amendment giving transportation programs priority over social programs when the economy turns sour. Conservatives — especially those who are staunch advocates of road-building — want to embed in the Maryland Constitution a high wall preventing the governor from dipping into the transportation trust fund when the next recession creates a budget crisis. If this amendment passes, it would be extraordinarily difficult for a governor to draw on transportation dollars to avert recession cuts in education, health care and social services. State workers’ jobs, pay and pensions would be under the gun. Once the so-called “lockbox” for transportation is approved, environmentalists will demand the same iron-clad protection for an array of “green” funds. We’re getting our priorities confused. Is the No. 1 goal of state government protecting highway funds, even in the midst of a damaging recession? Is that our top priority when state tax revenues dry up and the governor desperately seeks ways to avoid layoffs and deep budget cuts to schools, colleges and public assistance? During the Great Recession, Gov. Martin O’Malley repeatedly took money from the Maryland Department of Transportation to keep important social programs afloat without imposing cuts that would hurt the poor and low-middle class. Conservatives view this as theft. They want to stop governors from draining the transportation fund when recessions cause deep budget holes. Part of the problem is that O’Malley went overboard in shifting hundreds of millions from transportation to support other budget priorities. He didn’t want to repay MDOT and he continually returned to this large source of funds to pay for non-transportation expenses. As a result, O’Malley ended up short-changing MDOT by refusing until late in his second term to address MDOT’s unmet financing needs. Yet the extent of this problem has been greatly magnified by road-building advocates. Over the past 30 years, a total of $574 million has been shifted from the transportation trust fund by governors during hard times to cover more important necessities. Over $325 million of that has been re-paid, with another payment due next year. The problem with the lockbox amendment is that it ties the hands of future governors at the precise moment when financial flexibility is essential. Putting together a $40 billion budget is like solving a massive three-dimensional puzzle. There are thousands of moving parts. Protecting government’s core services requires enormous fiscal dexterity in bad times. The more pliability a governor has, the easier it is to develop a recession-era budget that meets essential needs without creating hardships. Sometimes that might mean borrowing from MDOT or from environmental programs set up to purchase green space or preserve farmland. Or it might mean issuing general obligation bonds to free up cash sitting in a transportation or natural resources account. The lockbox amendment would dramatically limit a governor’s ability to meet future budget crises without imposing hurtful budget cuts. It goes like this: If the governor cannot transfer $200 million from transportation accounts in the next deep recession to balance his budget, he’s got to take unpalatable steps — cutting aid to community colleges and private universities, local health and school aid, Medicaid, pension programs and environmental funds. Or he’s got to chop tens of millions of dollars from every state agency and dozens of local programs. Or he’s got to reduce support for state universities, which likely means a big jump in tuition. Or he’s got to fire a couple thousand state workers and eliminate services. If the lockbox amendment is approved by voters, the governor’s options would be dramatically reduced. Getting legislative approval to tap into the transportation fund (it would require a “super-majority” vote) could prove nearly impossible in the decades ahead. The governor might be forced to eliminate parts of Maryland’s social safety net, or make heartbreaking cuts to education and health care that damage people’s lives. Segregating tax revenue in separate accounts that are virtually untouchable for other uses during economic downturns is unsound public policy. It’s also poor public policy to plant this ticking time bomb in the state constitution where it cannot be easily or rapidly removed. At this late date, though, the lockbox amendment has momentum. The idea sounds sensible — until you begin examining the consequences during hard times. Chief executives in the public sector — and in the private sector — need a full financial toolbox when revenues plunge and the bills come due. 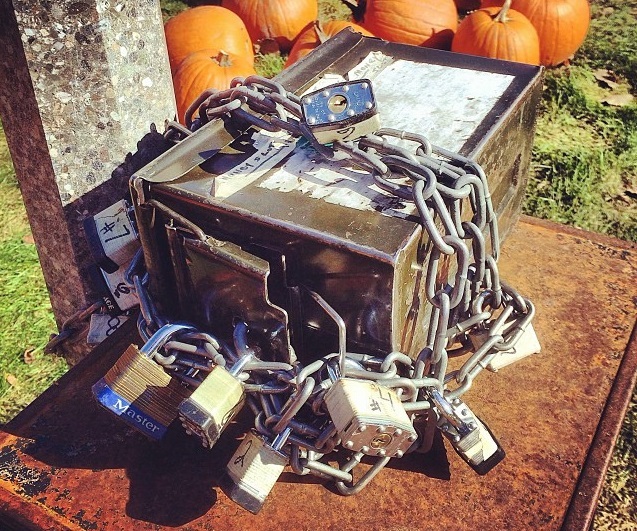 Creating a transportation lockbox robs Maryland’s governor of a vital tool. Barry Rascovar’s blog is www.politicalmaryland.com. He can be contacted at brascovar@hotmail.com.